Thank you for your interest in this Women in Demand Response update. This will be a 1-hour conversation with a few Powerpoint slides. Ruth Kiselewich with ICF International and Kitty Wang of Energy Solutions will moderate this conversation while you learn how to control peak electric load and reduce water use as well as provide capacity resources, and even improve crop production despite water shortages, water surpluses, and extreme weather events. This dialogue is open to all PLMA members and nonmembers. The conversation will begin with brief presentations from industry thought leaders followed by Q&A and open discussion. Kevin will provide an overview of several large customers with active agriculture and water programs, and will provide a short overview of DR at SCE and how programs are being integrated into the CAISO market. Kevin Wood is the Principal Manager, Demand Side Management at Southern California Edison. Kevin manages a staff of 60 managers, project/program managers, engineers and support staff responsible for the operation of the Business portfolio of Demand Side Management programs within the Customer Programs and Services department at Southern California Edison (SCE). This includes responsibility for 1,000 MW of demand response programs and 400 million kWh annually of energy efficiency programs. Kevin has worked in the electric utility industry for over 30 years holding engineering and management positions in generation design, distribution design, street lighting, metering (AMI) and demand response. Kevin’s publications include: co-authored the technical paper "Increased Utilization of Overhead Transmission Lines and Substation Equipment" in 1989; authored “SCE’s C&I Customers Manage Load in Real Time” published in Distribution World Magazine in 2003; co-inventor of “Method of Communicating Between a Utility and Its Customer Locations” (SCE’s AMI patent). Sarah and Mike will discuss NV Energy's innovative pilot variable rate irrigation controls program that allows center pivot irrigation sprinklers to be remotely managed based on soil needs using 2- to 6-degree strategies. Remote controls eliminate the on-off operation of the pivot and allows the utility to control the pivot as a DR resource—expanding from ISQ to economic resource and reserve. 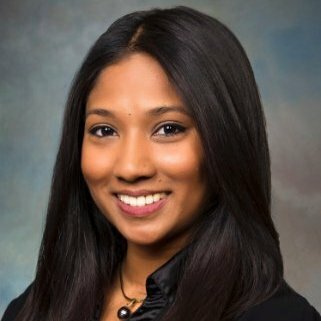 Sarah Chatterjee is the Supervisor for engineering, operations, and back office systems in the Demand Side Management Department of NV Energy. She has worked in Demand Response, Distributed Energy Resources, and Energy Efficiency for the last eight years and is responsible for the daily operations of the current Demand Response control systems (i.e. hourly load reduction forecasts for operating reserves and economic dispatch by Resource Optimization, event execution, system availability and monitoring), testing emerging technologies, and software evaluation, integration, and implementation. Sarah supports all Demand Side Management pilots and programs including residential air conditioning control, commercial air conditioning control, agricultural control, and battery energy storage. 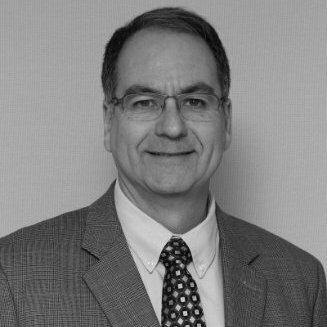 Michael Koszalka is the ICF International Vice President responsible for Energy Efficiency in ICF’s Western Region of the U.S. Mr. Koszalka has more than 30 years of experience in the utility industry, both within utilities and in a consulting role. He has led all aspects of Demand Side Management (DSM) programs from business case development and integrated resource planning to developing and evaluating request for proposals for implementation services, personally managing EE and Demand Response (DR) programs, conducting program evaluations, measurement and evaluation and developing regulatory reports and filings. Mr. Koszalka has also developed and implemented strategic marketing programs and services. He has extensive experience with integrated resource planning and aligning company DSM resources with supply side resources, including design, valuation and operations. Mr. Koszalka's main interests include using Smart Grid technologies to improve the effectiveness of demand response and energy efficiency efforts. Rachel will discuss the scope of irrigation load control programs at Rocky Mountain Power in the Idaho and Utah service territories. With over 1600 pumps enrolled at peak 200 MW capacity they have learned one key point: challenges are introduced by weather—variable water availability impacts participation—both drought and plenty pose challenges, making it tough to establish consistency and customer expectations. Rachel Bethany is a Program Manager at EnerNOC, where she is currently focused on energy management, specializing in demand response operations and utility client relationship management. Rachel is passionate about sustainability, clean tech, international education, travel, and Italian culture with program and account management experience. Quentin Nesbitt is the Energy Efficiency Leader and is responsible for all Commercial, Industrial and Irrigation energy efficiency and demand response programs for Idaho Power. 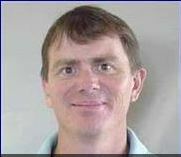 He worked for the Idaho Department of Water Resources for 2 years before joining the Idaho Power Company in 1991. He is a licensed Professional Engineer in Idaho. He has worked as an Agricultural Representative, Senior Engineer and Engineering Project Leader over his 24 year career with Idaho Power. Ruth Kiselewich is Strategic Programs Director at ICF International (having joined in March 2015) and is focused on emerging programmatic opportunities with a special interest in driving Integrated Demand Side Management. Ms. Kiselewich has almost 25 years of experience in the utility industry. This includes 8 years leading Baltimore Gas & Electric Company's (BGE's) demand side management (DSM) programs involving 1.2 million customers. She has developed policy, planned, designed and successfully implemented energy efficiency programs for all customer segments. She also led and enhanced residential demand response programs and the residential smart meter enabled, customer facing programs involving dynamic pricing and behavioral programs. Ms. Kiselewich also was responsible for marketing, reporting and regulatory activities involving all of the DSM programs. Other utility experience included leading the electric retail supplier account management group where she was focused on promoting deregulation and customer supply choice. Prior to deregulation in Maryland, Ms. Kiselewich negotiated supply contracts with large commercial and industrial customers. Kitty Wang is a Senior Program Manager at Energy Solutions in Long Beach, California. 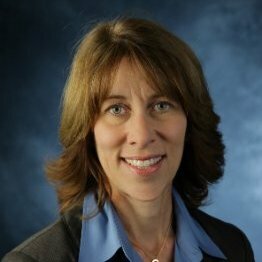 She designs and manages a variety of utility programs related to demand response and Emerging Technology practice, commercial LED lighting solutions, and demand-side integration (e.g., efficiency and demand response, water and energy). Kitty's current projects include design and implementation of automated demand response incentive program, distributor and contractor incentives pilot for demand response enabling HVAC controls, and accelerated commercialization of smart HVAC controls for integrated efficiency and demand response. How the Women in Demand Response Quarterly Update Works. When you register, you may submit a comment or question in advance. After a brief introduction, three lightning round presentations will be followed by a facilitated discussion. You're welcome to use a speaker phone so an unlimited number of people may participate. After the Discussion, you will receive a recording web link. Unable to participate on this day and time? Register anyway and you will automatically receive the recording link.